Dermot Looney, a Labour Party candidate for the new Tallaght Central Electoral Area, has said that government plans to cut Special Needs Assistants (SNA’s) in schools should be shelved. 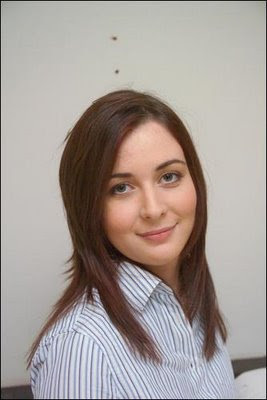 Looney, a primary school teacher in Tallaght, said that reports that a review of 10,000 SNA’s will be undertaken by the government are part of a “hedge-school mentality” and are likely to result in swathes of job cuts unless pressure is put on the government to retain SNA’s. 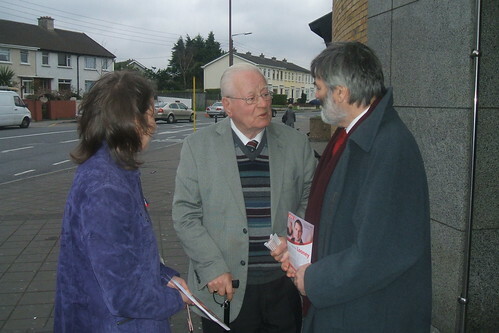 I was delighted yesterday to welcome Labour's MEP and Dublin Euro election candidate Proinsias de Rossa to our ward. Proinsias and I met with local supporters and voters at the Ashleaf Shopping Centre before a canvass of St Patrick's and St Peter's Roads in Greenhills. Yet another excellent canvass with a hugely positive response from local people, many of whom were delighted to meet with Proinsias who retains huge popularity across Dublin. See the pictures below from my Flickr account of the canvass. Dermot Looney, the Labour Party candidate for this year’s local election in Tallaght Central, has slammed proposals by both Fianna Fáil and Fine Gael to reintroduce third level fees or similar taxes on students. Looney's comments come in the wake of Minister Batt O'Keeffe's statement that he will bring forward plans to Cabinet to reintroduce fees, and Fine Gael's plans to abuse the social insurance fund with a convoluted and inequitable graduate levy. 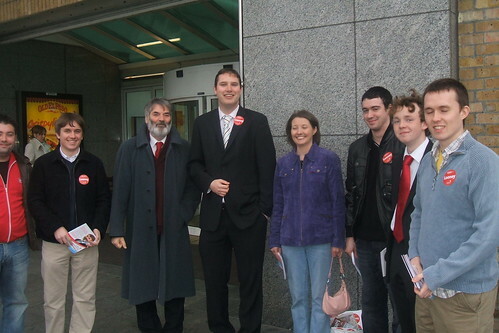 Looney, 26, was a student activist during his time in UCD and was part of the successful student campaign in 2003 to oppose the reintroduction of fees. He has been working with students' groups in his campaign not only to oppose fees, but to extend and improve the grants system for those from ordinary backgrounds. The Greenhills-based candidate, who works as a teacher in Tallaght, has said that plans by the two major conservative parties for fees, whether by the front door or the back, are counterposed by the Labour Party's track record of promoting equality of access at third level. "Despite claims to the contrary, the Labour Party's abolition of college fees in 1995 was a policy taken to advance universal education opportunities." "It closed off tax covenant loopholes which enabled the rich to attend for free regardless, and allowed tens of thousands of young people from ordinary backgrounds a college opportunity they would never have gotten under the old system. I know - I was one of them," Looney said. "Fianna Fail has always been suspicious of the no-fee model of third level education, and they are now cynically taking advantage of the adverse situation in our public finances to bring back fees - something they've wanted to do for years. Minister O'Keeffe's insistence that only the very wealthy will pay is complete nonsense. The net will need to be very wide indeed from the off to ensure the scheme is sustainable, and once fees are reintroduced, the income barrier will inevitably drop from one year to the next, until almost everyone is asked to pay thousands or even tens of thousands a year in fees." "The pseudo-socialism of the Government in asking the rich to pay is galling. They never touched the incomes of developers, bankers and their other pals during the boom years. O'Keeffe is correct to mention Ireland's 33,000 self-declared millionaires, but those people should pay through a tax on their wealth rather than via a college fees scheme they will most likely have their accountants parsing through for write-offs." "Meanwhile, Fine Gael's proposal creates poverty traps, and burdens young people with payments when they are starting out in their working life. The social insurance fund is intended to insure people against sickness, disability, accidents, unemployment and give them support in old age - it should not be used as a sneaky tax on education. Under their scheme a graduate, regardless of curcumstances, who is earning the average starting salary of €27,000 would be forced to pay an extra €2,280 a year on top of her or his tax, PRSI and other contributions. As usual, conservative economics is reduced to targeting those on lower incomes." "The Labour Party believes in an education that is universally available from kindergarten to third level free of charge, paid for by taxation based on ability to pay. As a socialist I reject the hypocrisy of Fianna Fáil's approach and the inequity of Fine Gael's. There is a better, fairer way on college fees - and it will mean a hike in taxes for the super-rich." 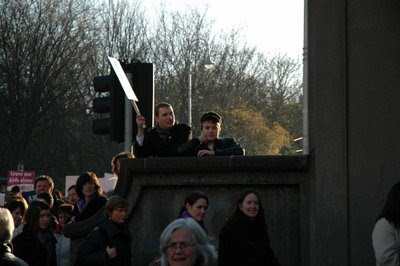 This week's guest blog post is from Paul Dillane (pictured with me on last year's demo against education cuts, right). Paul and I both studied Social Science in UCD, where he encouraged me to get active in politics and to join the Labour Party. In 2003 he recruited me as his campaign manager for his successful bid to become President of UCD Students' Union, and we have shared many platforms and campaigns ever since. Paul plays a key role in our campaign here in Tallaght Central, and as an activist across issues and at many levels - including on the National Executive of the Labour Party - he is unfailing in pushing for a socialist alternative in Irish politics. "Dermot Looney campaign points to a different and better way for local politics." When an election candidate's close friends and political colleagues start paying tributes to him/her, things generally start getting fairly embarrassing. We are generally asked to believe in a candidate’s tremendous ability to "get things done", their unstinting track record of "hard work" and their localness to a particular area. It is as if a good political candidate has the qualities of a saint (they can intervene on your behalf with unknown powers), a horse (can work and work and work...) and a priest (is at the heart of the parish). In reality, some of the powers claimed by local politicians are powers that do not long belong to them at all. For example, the planning process has been taken out of the hands of local councillors. The claims of politicians to be able to deliver planning permissions and stop your neighbours from building extensions are just that-claims. That is not to say that politicians cannot work with local communities to develop good planning or put pressure on developers who are neglectful, but to state that politicians are simply not gifted to make the final decisions when it come to planning matters. The functions of budgeting have also been broadly removed from councillors. For example, the controversial and unfair bin taxes lie not in the hands of people we elect, but with the county and city managers and the Department of the Environment. This is not to suggest that it is okay and right for councillors to vote for privatisation of services under protests of "they would have done it anyway" or "we had no choice", but to point out that the capacity of politicians to intervene in some of the most important local issues is extremely limited. It is the not the work of a conspiracy theorist to suggest that real power often does not lie directly with people we elect. What then is the role of a local councillor, particularly one concerned with bringing about real political change? It seems to me that a local councillor who uses his/her position to campaign, mobilise and organise people in pursuit of political goals is the best response in a system that is undemocratic and where decision making does not lie directly with those we elect. The alternative to such an approach is politicians claiming credit for things that have nothing to do with them or justifying decisions that they had no power in shaping. It is one thing to claim be a local campaigner and organiser of people as an alternative to the clientelist model of politics, and another thing to pursue and deliver on this goal. However, the Dermot Looney campaign is seriously showing how politics can be done in a different way. 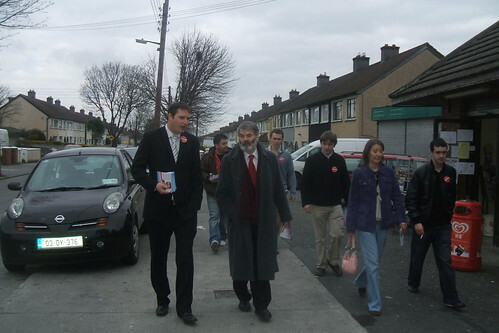 The campaign to redevelop the McHugh’s site in Greenhills- a site left derelict after the developer in question knocked down the once key amenity and then did something of a runner- is one such example of this alternative approach, where Dermot mobilised local opinion through petitioning to put pressure on the council. And there are others - such as Dermot’s involvement in anti-education cuts initiatives, which have attempted to mobilise people against the cuts culture of the government. So, if you are willing able, please consider voting Dermot Looney in the local elections. Better still, consider getting involved in a campaign that is genuinely different and where you will be sure that your involvement will make a difference. Speaking ahead of Shamrock Rovers' first home game in the new Tallaght Stadium, Dermot Looney, a local Labour Party election candidate, has said that Rovers' move is bright news amidst the gloom for both the local community and League of Ireland football. Looney, a candidate for the Tallaght Central Ward, has congratulated Rovers and their fans for the tenacity they have shown in the 22 years since the controversial sale of Glenmalure Park. Looney (26) is a lifelong St Patrick's Athletic fan and patron member of St Pat's, and has previously been a supporters' club chairman and fanzine editor for the Inchicore club. He was also an award-winning journalist specialising in League of Ireland football before becoming a primary teacher in Old Bawn, just a stone's throw from the stadium. But he is leaving footballing rivalry behind with a warm welcome for Rovers in Tallaght. "The build-up to this special move has set Tallaght alight over the past few weeks," noted Looney, "both figuratively and literally! The place has been abuzz and the switching on of the new floodlights at the stadium has added even more to local excitement. As someone teaching local children I know how much the season kick-off has engaged young people, clear evidence that Rovers' community strategy in Tallaght is paying off." "Special credit is due to Chairman Jonathan Roche and the old 400 club on their tremendous work in rescuing and democratising Shamrock Rovers. Congratulations are also due to the Council officials and staff who have worked so hard to ensure this day comes. News that a new 3,000 seat stand will be completed by June will mean a fantastic community resource in the many years ahead." "One of the first political actions I ever took was signing and circulating a Rovers for Tallaght petition when I was in my teens. More than a decade later, I'm pledging my total support to Rovers if I'm elected to the Council in June, in terms of Council decisions and policy on the development of the stadium. The only time Rovers won't have my support is when they're playing Pat's!" 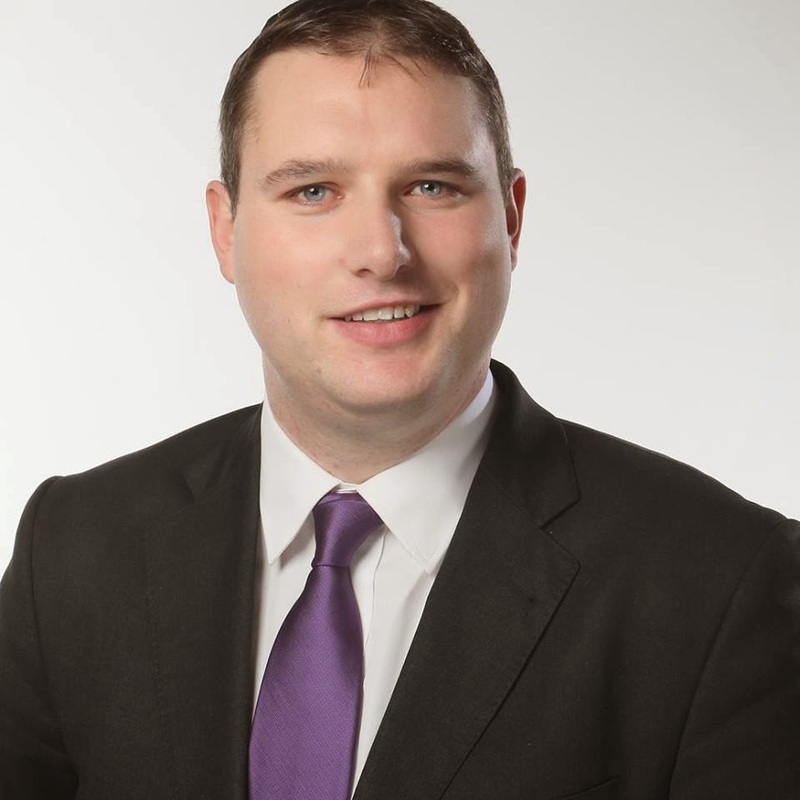 Dermot Looney, the Labour Party candidate for this year’s local election in Tallaght Central, has said that February’s live register figures display the biggest rise in youth unemployment in the Tallaght area in memory. Looney has slammed government inaction on the jobs crisis, saying that there have been no proposals or plans of any significance to curb the rise in youth unemployment, or to get people of any age back to work. His comments come as the CSO’s live register figures show 7,974 signing on at the Tallaght Social Welfare Office – a jump of 713, or 10%, in the month of February. Looney, who is based in Greenhills and works in Tallaght, noted that one of the most worrying figures was the youth unemployment rate, which has been spiralling in recent months. Of the 7,974 out of work, a quarter – 1,974 – are under 25. Youth unemployment in Tallaght has jumped by an extraordinary 46% in the last four months, with February’s rise of 207, or more than 11%, the biggest rise on record. There is also a big gap in the proportion of under 25’s out of work in Tallaght – 25% - and the national figure of 21%. Looney also noted the overall increase at the Bishop’s Square Welfare Office, used by people in the Dublin 12 and 6w parts of the Tallaght Central ward, which saw the number of those signing on increase from 6,342 in January to 6,916 in February – a jump of 574. There has an increase in those signing on in the last 12 months of almost 93%. “Locally, the INOU's call for an early warning system for redundancies will provide the time to attract other investment or retrain workers before they lose their jobs. Community Employment schemes, particularly for the long-term unemployed, must be maintained and developed, and talk of prioritising the high-tech sector can’t be allowed to exacerbate social exclusion in working class communities - meaning that no further cutbacks at any level of education are acceptable." From a press release by Róisín Shortall, 5 proposals by the Labour Party to save the State money. Before we hit the most vulnerable again, let's hit those who benefit most the hardest. Director's pension schemes are still a major loophole. A director can build up a fund of up to €5.4 million and take 25% of it in a tax-free lump sum. (Again, the Government has been unable to provide information on the amount that would be saved). Interest relief on rental properties is costing €800m and should be cut. Abandon the super-private clinics and save €1 billion over seven years, or €140m per year.